pre-2008 model shown (London Irish). Note: Safety Squat Bar sold seperately. 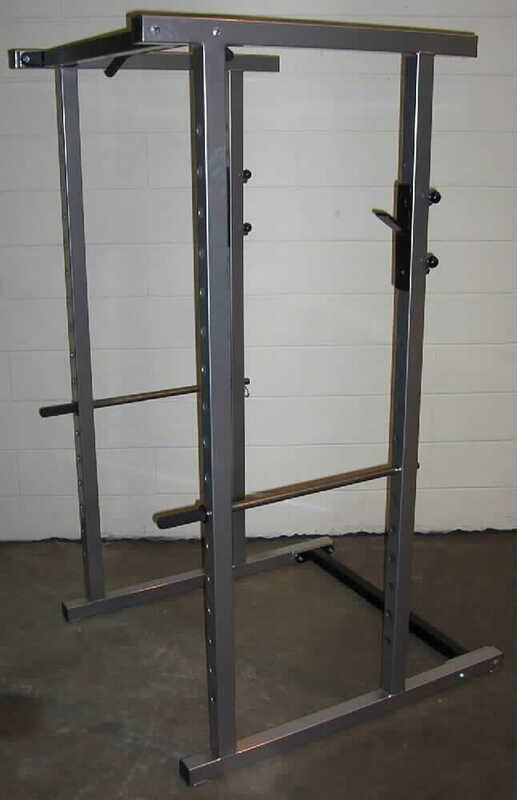 Full Commercial Power Rack *New Improved 2008 model* features uprated everything! GymRatZ Commercial Gym Equipment is designed for professional use in health clubs, fitness centers, and the very toughest of gyms. The equipment is designed and built to withstand constant daily use under the heaviest of training conditions - we wouldn't put our name to anything else! 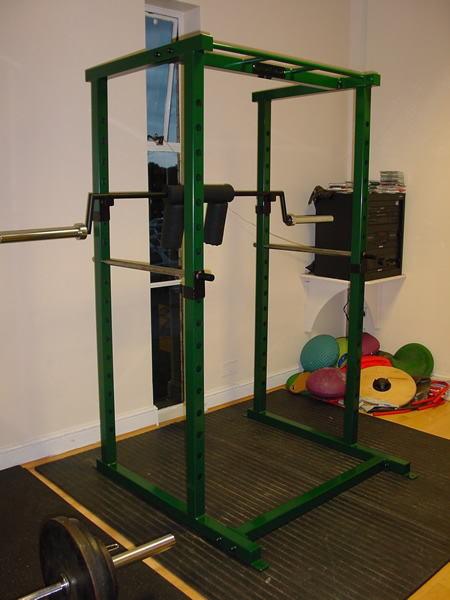 As used by London Irish Rugby club (see London Irish Green rack pictured (older style rack) and other top-level National & International clubs, Ministry of Defense, Military and RAF bases, Schools, Colleges, Universities, and some of the hardest core and heavy duty gyms and training facilities world wide! Heavy duty Power Rack . The framework is constructed from heavy gauge steel. Lift Off Hooks and Safety Bars can be moved quickly and easily. Lift Off Hooks can be used on either side of the frame. 15% OFF COMMERCIAL MATTING when ordered with this product. Return to Smith Machines and Racks by GymRatZ - SALE!